Martha Mortensen Ahern, an educator and pianist/collaborative artist, has performed in Europe and throughout the United States. 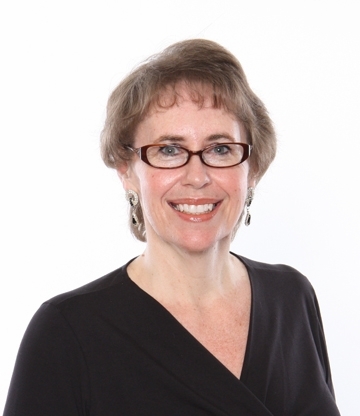 In addition to performing and teaching, Martha also serves as Artistic Director for the Austin Chamber Ensemble. 'Marti' has been heard live in interviews and performances on local FM radio stations KMFA and KUT. She holds leadership positions with Music Teachers National Association (State and Local), American Guild of Organists, and is a member of Mu Phi Epsilon. As an educator, her students continue to receive Superior ratings in contests and festivals, as well as scholarships to attend colleges and universities as music majors and solos with the Austin Lyric Opera. She presented a Grammy Foundation ProSession piano master class in June 2006. For more information, see Martha's website. 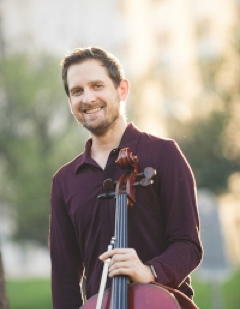 In 2002, Douglas Harvey became the youngest principal cellist in the almost 100 year history of the Austin Symphony Orchestra. In 2005 he became the principal cellist of the Austin Lyric Opera Orchestra, which received recent reviews for the US Premiere of Phillip Glass's 21st opera, "Waiting for the Barbarians." He has performed as soloist with many orchestras throughout Texas and the U.S. Live solo broadcasts and recorded live performances have been heard on KMFA, KUT, and other radio stations. Douglas has performed chamber music with the Salon Concert Series, Austin Chamber Music Center, the Chamber Soloists of Austin, the Austin Quartet, and guest appearances with other chamber music series. He has also performed in concert alongside legendary virtuosos Aaron Rosand and Douglas's teacher, Paul Olefsky, at Steinway Hall in New York City 2006, and The Miro String Quartet and Friends Concert at the 2006 International Debussy Congress *Live webcast. He has premiered solo and chamber works by first class composers Lowell Liebermann, Kathryn Mishell, Kevin Puts, Dan Welcher, and others. For more information, see the Artisan String Quartet website. 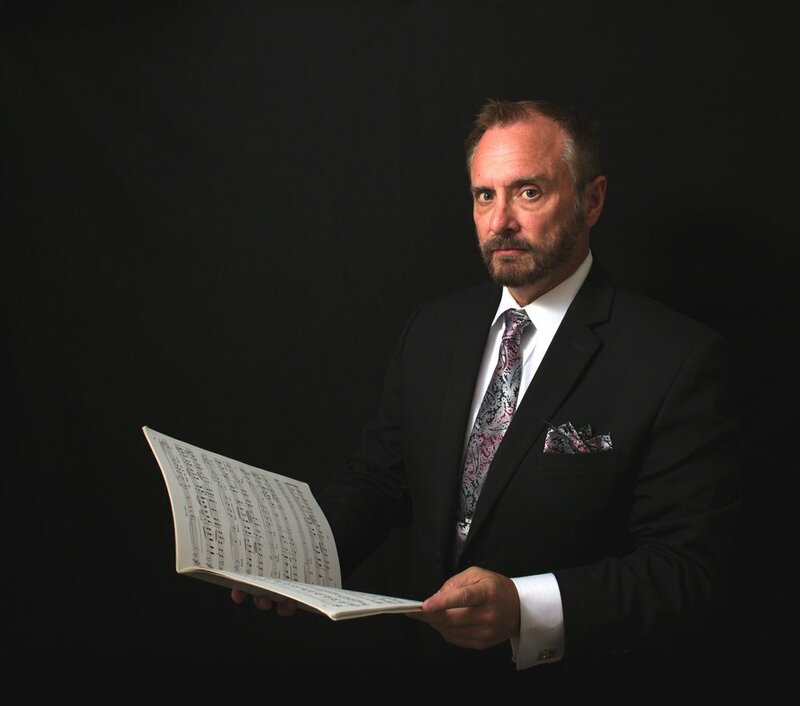 Jeffrey Jones-Ragona, tenor, has appeared as a featured artist with Austin Chamber Ensemble since 2007. He also regularly performs with Austin Opera, the Texas Early Music Project, La Follia Austin Baroque, and Austin Baroque Orchestra. He has taught on the music faculties of Drake University, St. Edward’s University, and Southwestern University, and served as Director of the Capital City Men’s Chorus. Jeffrey received his Doctor of Musical Arts from the University of Texas at Austin 2006. He is the 2003 recipient of the Austin Circle of Theatre’s B. Iden Payne Award for Outstanding Musical Direction of the Gilbert and Sullivan comic opera The Pirates of Penzance. Richard Kilmer began playing the violin at the age of four in Tulsa, Oklahoma and quickly became an accomplished young violinist under the early tutelage of Mazie Kilmer, Richard's mother and first violin teacher. Richard performed on many recitals as a young man in Tulsa and decided to attend the Eastman School of Music where he was Concertmaster during an historic University Orchestra tour to the USSR in 1960. After achieving the Artist Diploma from Eastman, he moved overseas to study with Authur Grumiaux at the Royal Conservatory in Brussels, and with Szymon Goldberg in Amsterdam where he performed in the Netherlands Chamber Orchestra. Richard lived in Amsterdam for fifteen years as a member of the famed Amati Quartet and the Mendelssohn Trio, performing worldwide with these ensembles. In addition, he has appeared as soloist with the Orquesta Sinfonica del Estado de Michoacan (Mexico) and with the Sinfonica Nacional de El Salvador. He is currently Principal Second Violin with the Austin Symphony and maintains a busy teaching schedule of private violin students and chamber music ensembles. For more information, see the Artisan String Quartet website. Delaine Leonard is a versatile musician and passionate educator living in Austin, TX, who has performed throughout North America and Europe. Her summer studies with Alice Chalifoux at the Salzedo School in Camden, ME, inspired her to share her love of the harp with others. She has more than 30 years of experience in opera, orchestra and harp chamber music, has commissioned several new works, and is currently transcribing opera arias and art song for the harp. She served multiple terms as President of the American Harp Society, Inc. and is a Suzuki Harp Teacher Trainer for Hong Kong and the Americas who teaches at the University of Texas Butler School of Music, Austin Community College, and Stone Gate Suzuki Studio. For more information, see Delaine’s website. Dr. Andrew Parker is currently the oboe professor at the University of Texas at Austin and faculty at the Round Top Festival Institute. In addition to his teaching, Andrew maintains a rich performing career as a soloist and chamber musician. He has performed concerti with numerous orchestras including the Quad City Symphony, the Great Falls Symphony, the Puerto Rico Philharmonic, the University of Iowa Chamber Orchestra, and the University of Texas Symphony Orchestra. His solo album, The Singing Oboe, was featured as CD of the week for two consecutive weeks on the Boston classical station 99.5 WCRB . His other albums Handel: The Halle Sonatas and Portraits in Music, were released on the Equilibrium and MSR labels respectively. Andrew has been principal oboe of the Quad City Symphony Orchestra for 10 seasons. After receiving his Bachelor’s degree at the Eastman School of Music and Master’s degree at Yale University, he finished his doctoral studies at the University of Michigan. Andrew's primary teachers have been Richard Killmer, Nancy Ambrose King, and Elaine Douvas. For more information, see Andrew’s webpage. Caleb is a a tenured member of the Austin Symphony Orchestra’s violin section and the newest member of the Artisan Quartet. He earned two degrees from the Butler School of Music at UT Austin, most recently including a Master's in Music in 2012. He has performed in festivals around the country and has had solo engagements with orchestras in Iowa and Texas. Caleb is also a composer, and has had pieces for solo violin and chamber ensembles played on stages in Central Texas, Iowa, Minnesota, and also online. He continues to actively compose while maintaining a busy schedule with the Austin Symphony, Opera, Ballet, and with other ensembles, classical and otherwise. For more information, see the Artisan String Quartet website. Steinway Artist Anthony Tobin grew up in Ithaca New York where he studied with Malcolm Bilson. He received degrees in piano performance from the Eastman School with Anton Nel, a MM from the University of Southern California with Daniel Pollack, and a DMA from UT Austin. In addition to teaching students of all levels and abilities, he has performed as a touring collaborative and solo pianist for the past 20 years and performs several times a year as solo pianist in Switzerland. Tobin, a Debussy specialist, has completed two films, the most recent, Le piano du Reve, includes footage from the only piano Debussy purchased and on which presumably composed his piano works. During the 2018 Debussy Centennial, Tobin performed numerous programs in Switzerland and the US of the Preludes Book I and II. He is Artistic Director of Adam’s Music House and schedules performances in addition to giving masterclasses and building a private studio. Tobin is a member of Pi Kappa Lambda and has received Steinway’s Top Teacher award in 2016 and 2018. For more information, see Anthony’s website and the Adam’s Music House website. Bruce Williams began his professional career as a violist at the age of fifteen and four years later won a position with the Fort Worth Symphony. In 1983, he won the principal violist position with the Haifa Symphony Orchestra in Israel and was also a member of the Haifa Clarinet Trio, performing throughout Israel and Europe. Upon his return to the U.S., he was invited to concertize throughout the U.S. as a member of the Allegro Chamber Trio (ACT) with flutist Megan Meisenbach and harpist Mary Golden. ACT was featured on National Public Radio’s Performance Today and recorded on Centaur records as The Meisenbach/Golden Duo. In 2003, he won the Austin Critics Table award for Outstanding Instrumentalist for his performance of Hector Berlioz’s Harold in Italy with the Austin Symphony Orchestra. Mr. Williams is the manager and founding member of the Artisan Quartet (AQ) in Austin, TX. This popular string quartet performed at Carnegie Hall in 2012 and was recently named Quartet in Residence both with Mozart Festival Texas in San Antonio and the newly-formed Mason County Chamber Music Festival (MCCMF) in Mason, Texas, of which Mr. Williams is the Artistic Director. Mr. Williams is a guest artist with the Cactus Pear Music Festival in San Antonio and the Fayetteville Chamber Music Festival in Fayetteville, Texas and has been invited to perform in chamber music festivals in California and Colorado. He is the principal violist with the Austin Symphony Orchestra and the Victoria Bach Festival (VBF), with which he often appears as a soloist. Mr. Williams has recorded on Harmonia Mundi recordings with the Grammy Award winning choral group Conspirare under the artistic direction of Craig Hella Johnson. For more information, see the Artisan String Quartet website.